If you ever stepped foot into an arcade in 1983, then you no doubt remember dumping quarter after quarter into the hottest game to hit the scene since Pac-Man. At the time, Dragon’s Lair was considered revolutionary. It was visually stunning, infuriatingly addictive, and because it was the first video arcade game to cost $.50 per play, it was a top-earning game that is often credited with keeping the arcade alive. Now, the brains behind Dragon’s Lair, Don Bluth and Gary Goldman, want to bring Dirk the Daring, Princess Daphne, and the eponymous Dragon to the big screen – with your help! Over a 21 week work schedule a small team of A-list script writers and artists, under Don & Gary’s supervision, Don Bluth Films will develop a unique teaser presentation incorporating a section of the script with recorded dialogues, storyboards, some animation and color art direction, giving the viewer a sample of the story, character personalities delivering an entertaining experience to create a “want to see” reaction. A presentation which will encourage investors to provide financing of our budgeted 70 million dollars for us to produce Dragon’s Lair : The Movie. Yes, you’re reading that correctly. The Kickstarter isn’t actually to fund an entire film. Instead, it is to foot the bill for the creation of an extended pitch video to take to investors and studios in hopes of a green light for a feature-length production. According to Bluth’s estimation, a feature-length Dragon’s Lair film will cost around 70 million dollars to produce, and even more for promotion. While the large price tag may cause some pause, there are plenty of reward options ranging from t-shirts and autographed posters to hand-drawn caricatures and storyboard sketches. While this project is certainly exciting, it is important to note that the adventures of Dirk the Daring weren’t limited only to the video game. 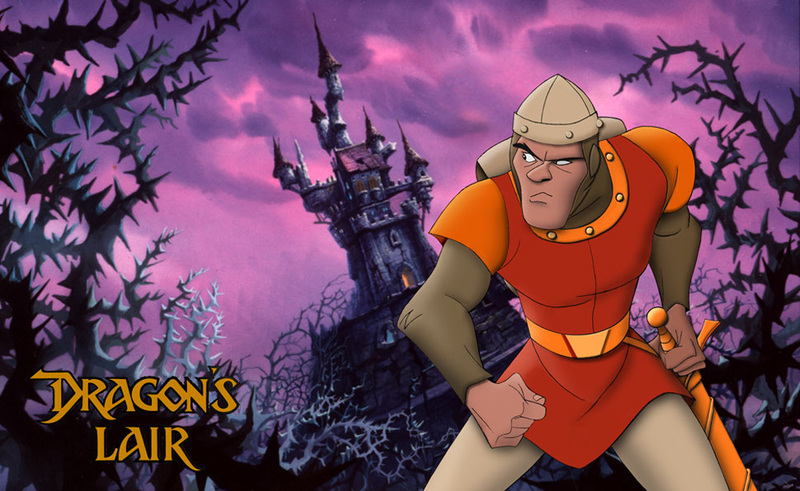 In 1983, there was also an animated children’s cartoon version of Dragon’s Lair. It only lasted a single season for 13 episodes before cancellation. Fortunately, those same kids who may have been disappointed to see Dragon’s Lair removed from the screen before its time are now adults with disposable income to see their childhood brought back to life on the big screen. Lead on, adventurer… your quest awaits.